Benson Porter became the President/CEO of BECU in May 2012. 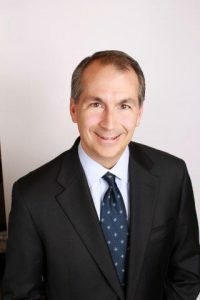 His prior experience includes: serving as the President/CEO of First Tech Credit Union; Board Chair of Essex National Securities; Chief Administrative Officer for Washington Mutual; Staff Director and Senior Counsel for Washington State Senate Banking Committee. Benson currently serves on the Boards of the Federal Home Loan Bank of Seattle, COOP Financial Services, CUDL (Credit Union Direct Lending), and Whitman College. Benson is a native of Washington State and lives in the Bellevue area. He earned a BA in Economics from Whitman College and received his Juris Doctorate from Seattle University. As we leave the recession in our rear view mirror, Benson will discuss the changing landscape in financial services and offer a glimpse of what the future will look like, including the role of technology in banking and how the millennial generation will influence the financial services industry.